Khloe Kardashian Is Doing Her Best To Remain On ‘Good Terms’ With Tristan Thompson For True’s Sake! Home › Tristan Thompson › Khloe Kardashian Is Doing Her Best To Remain On ‘Good Terms’ With Tristan Thompson For True’s Sake! No matter what goes down between her parents, little True Thompson will always come first. 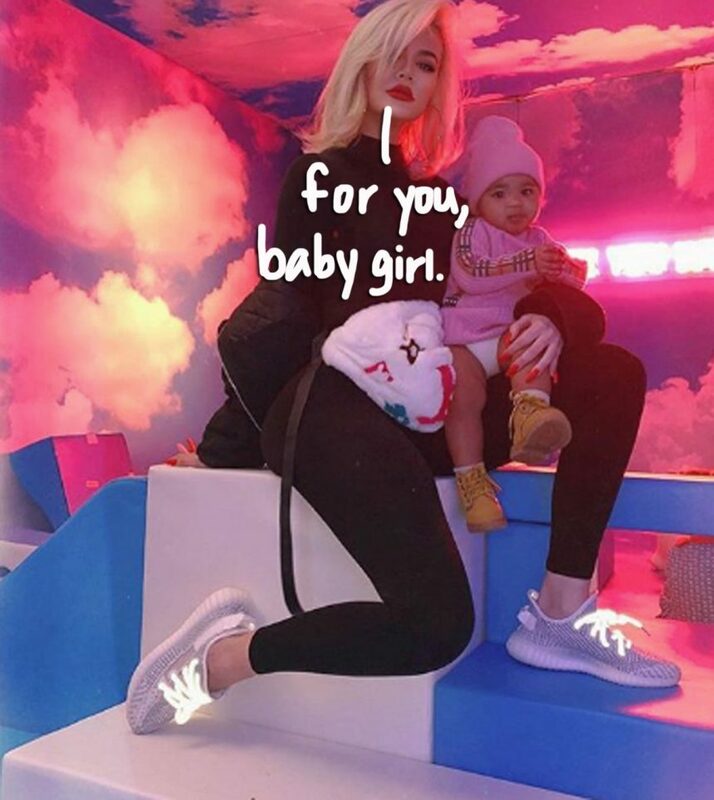 This seems to be the conclusion that Khloe Kardashian has come to about the future of her relationship with her baby daddy and ex Tristan Thompson. And it’s a smart decision, too, as the 10-month-old shouldn’t have to pay for any of her parent’s mistakes! Related: Tristan Spotted Out With A New Woman Amid Khloe Cheating Drama! As we wrote, the 37-year-old was undoubtedly crushed when she found out that the father of her child had allegedly hooked up with her little sister’s BFF. Additionally, Khloe vowed to act “very cool” about her coparenting situation amid all of the drama because her daughter truly comes first. At the end of the day, the KUWTK star knows that it would be best for her daughter if she and Thompson could get along. We’ll see how long those good terms last after the other side of the cheating story comes out on Friday… We’re crossing our fingers for True’s sake! What do YOU guys think about Khloe’s decision to continue coparenting with Tristan? Will these two be able to play nice for long? Do you think Tristan still deserves a spot in his daughter’s life? Share your thoughts in the comments section (below)!